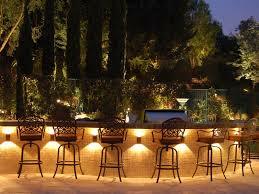 Outdoor lighting has two main purposes: security and beautification. Outdoor lights help to improve the safety of your home by illuminating your entrance area so you can take out your keys, or so you can clearly see whoever is knocking at your door. Porch lights help to illuminate your home and yard, enabling you to spend time outside well into the evening and help you enhance the beauty of your home. 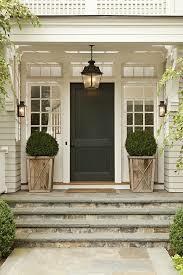 But how do you choose a porch light that is practical, stylish and durable all at the same time? 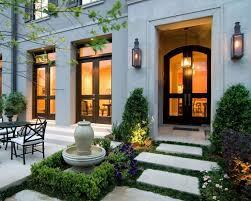 Here is all the information you need to make the best choice for your outdoor lighting. 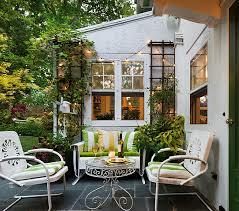 There are a few porch light styles you may want to consider as you begin shopping. Each comes with its own set of features, but what really matters is determining which one will fit the most seamlessly into your outdoor space. The first style, safety flood lights, is the most practical for safety purposes, but it doesn’t have much style or visual appeal. Safety lights are usually paired with a motion sensor that turns them on whenever there is movement, thus discouraging theft and breaking and entering. Post lights can be installed on top of posts along your entrance pathway and around your porch. They light up enough for you to see where you’re going, but not as intense as flood lights. They are perfect for lighting up hidden nooks or beautifying landscape features. Wall lights, like sconces, are installed on walls. They are great for lighting up the front door and corners around your porch. Outdoor wall sconces can be easily installed on most materials, including brick, aluminium and wood. Ceiling mounts, in the form of flush mount or pendant lights, are great for larger porches where you need more ambient light. Obviously, you need a covered porch in order to install one of these. For durability, you need to pay special attention to the material your porch light is made of. The climate you live in will determine what kind of things to worry about. Ice and snow, high humidity, lots of dust and other environmental conditions need to be considered when choosing the type of porch light. 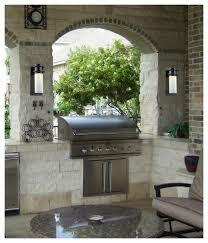 In all cases, you should always choose a light that was specifically made for outdoor use. Indoor lighting fixtures are not meant to survive the sometimes harsh outdoor conditions. Certain conditions, like cold, high humidity or dryness, as well as rain or snow, can damage indoor lights. Good weather-resistant materials to look for are powder-coated aluminium and brass. These are generally the most durable types, and a good outdoor light made from these materials should last at least a decade. Aluminum: Aluminum is common and has a nice, classic shine. It’s perfect when you want a low-profile light, or something brighter. Brass: Brass is warm and inviting, and its glow works well with brick walls and warm wood surroundings. Its glow is a little less bright than aluminium, but still pleasant, especially for entertaining outdoors. As you choose your lighting fixture and combination, you should keep some concerns in mind. One important issue is the growing problem of light pollution, which has been shown to have an effect on the natural world (as well as your neighbors). 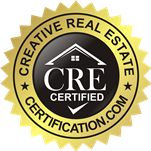 Look for lighting fixtures that mention “Dark Sky” or “Good Neighbor” seal of approval. These lighting fixtures are specifically made to minimize the impact of light on the environment. Another issue you may run into is the problem of bug attraction. Some types of lights attract insects more than others, and so you might want to look into bulbs that attract a minimal amount of bugs. 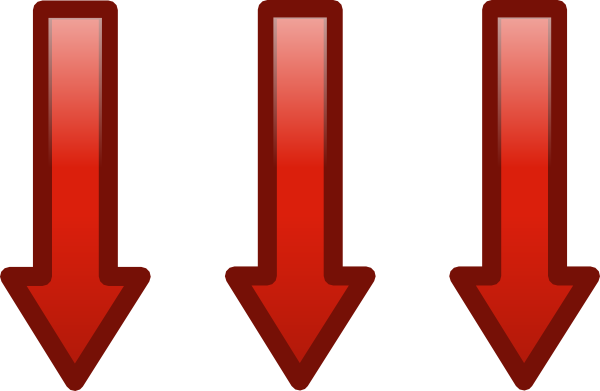 According to a recent test, white incandescent bulbs attract the most bugs in general, so you want to avoid this type. LED lights at the red end of the spectrum performed the best, even better than specialized anti-bug lights. One more thing you should keep in mind is hanging a ceiling light or pendant light high enough and far enough from the door so that they don’t collide when the door opens. If you’re not sure, open your door and mark its arc on the ceiling. That way, you can be sure that your light fixture won’t get in the way of opening your front door. Definitely do not use indoor lighting fixtures for the outdoors. Sure, it is possible. Just because something is possible, doesn’t mean you should do it. There’s a reason lighting is dubbed as either indoor or outdoor. There are actually multiple reasons. All you need to know, is to not do it. Stick with exterior lights for the exterior of the home, unless you want to deal with an array of issues later. What if it is a covered patio, though? It’s not like the lights would be exposed to outdoor conditions in that case? Just don’t do it. I’ve done it, that’s why I’m able to say it. I fell so hard for this lighting set I saw that I bought a bunch of them and had them installed outside, against my electrician’s advice.